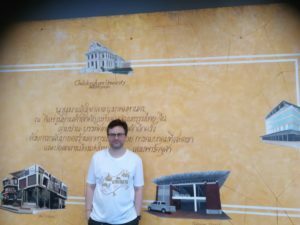 Collegium Civitas Professor Rafał Pankowski is enhancing the academic cooperation in South-East Asia. 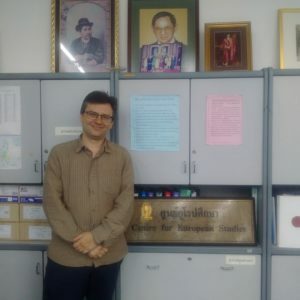 This summer Prof. Pankowski was invited to the prestigious Chulalongkorn University in Bangkok as Visiting Professor. Prof. Pankowski visited the university again in November on his way to the Asia-Europe Meeting (ASEM). On 5-8 November Professor Pankowski‎, who is the co-founder of ‘NEVER AGAIN’ Association, shared the association’s experiences at the Asia-Europe Meeting (ASEM) Seminar on Human Rights and Preventing Violent Extremism held in Yogyakarta (Indonesia). The ASEM is a forum for dialogue and cooperation established in 1996 to deepen relations between Asia and Europe. Members include 53 countries from both continents. Dr Natthanan Kunnamas – the Director of the Centre for European Studies, Chulalongkorn University Prof. Carlo Filippini, Milano Bocconi University and Prof. Pankowski. 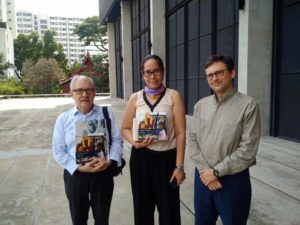 Prof. Pankowski was a Visiting Professor at the Centre for European Studies at Chulalongkorn University. Chulalongkorn University is the best university in Thailand. Rafal Pankowski is an Associate Professor at Collegium Civitas. He has served as deputy editor of ‘Nigdy Wiecej’ (Never Again) magazine since 1996. He has published widely on racism, nationalism, xenophobia and other issues including the books ‘Neo-Fascism in Western Europe: A study in ideology’ (Polish Academy of Sciences, 1998), ‘Racism and Popular Culture’ (Trio, 2006), and ‘The Populist Radical Right in Poland: The Patriots’ (Routledge, 2010). He currently works as a lecturer at Collegium Civitas and head of the East Europe Monitoring Centre established by the ‘Never Again’ Association. Pankowski received his MA in Political Science from Warsaw University (he also studied at Oxford University as an undergraduate) and his PhD and Habilitation in Sociology of Culture from the University of Warsaw, Institute of Applied Social Sciences.